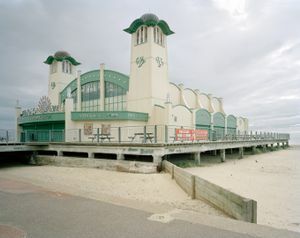 Made over the past three years, Pierdom is a comprehensive survey of Britain’s Pleasure Piers. 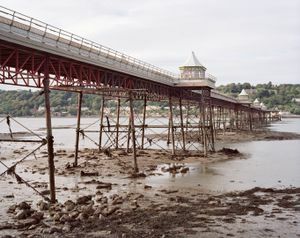 Predominantly constructed during the 19th Century in the context of expanding Victorian seaside resorts and railways, these structures were often erected as landing docks for pleasure steamers and other sea craft. 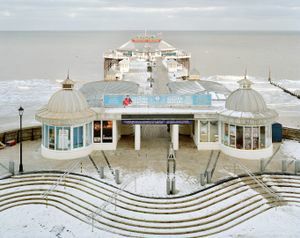 Growing to accommodate the needs of day-trippers escaping the smog of the city, engineers began to incorporate bandstands, cafes and music halls into their designs, embracing the growing notion of ‘pleasure seeking’ by the seaside. 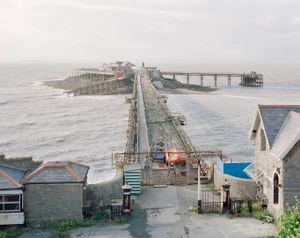 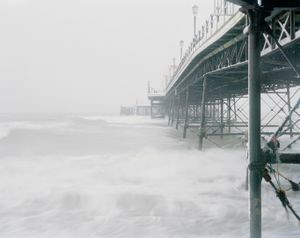 At the turn of the century the British coastline boasted over 100 piers, some modest and functional, others elegant, exotic Victorian structures thrusting out into the sea. 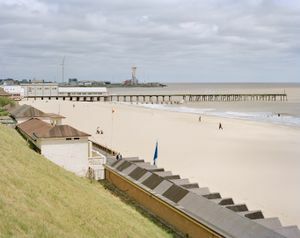 Now under half remain, the others destroyed by fierce weather and fires, with many dismantled during the 2nd World War to prevent German landings. 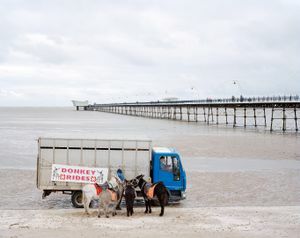 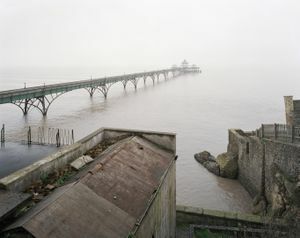 Britain’s piers have become cultural landmarks, tracing history, national identity and economic fortunes from Victorian industrialism to the post-war boom, and finally to the recent economic downturn and a gradual re-awakening of our appreciation of these cultural and historic landmarks. 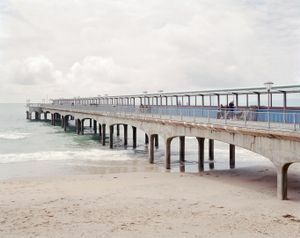 Pierdom addresses the historical significance of these architectural structures placed in comparison with their modern interpretation and functionality. 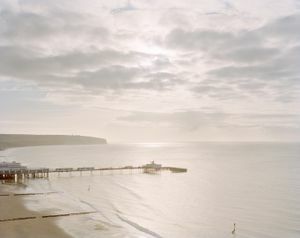 Simon’s large format photographs are taken with great technical precision, often from elevated positions incorporating peripheral details and the elements, thus enriching the viewing experience of each print. 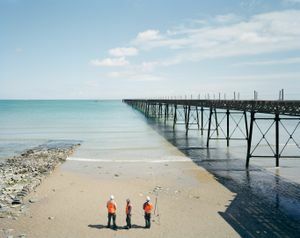 Through formal devices associated with the picturesque; perspective, asymmetry and juxtaposition, the photographs engage us with contemporary issues about our uneasy and fragile relationship to both nature, and our urban environments.